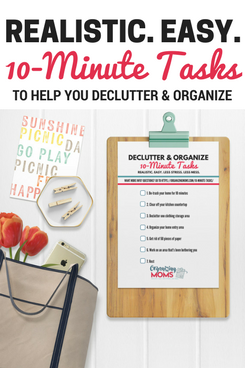 A lot of the organizing and decluttering advice we read online tells us to work on tidying up for 10 or 15 minutes at a time. But, really, how much can you really do in that amount of time? It seems like you would just get started, and your time would be up, right? A few weeks ago, I decided to tackle the floor in our pantry. It had gotten so out-of-hand that we couldn’t really walk in there to find anything. 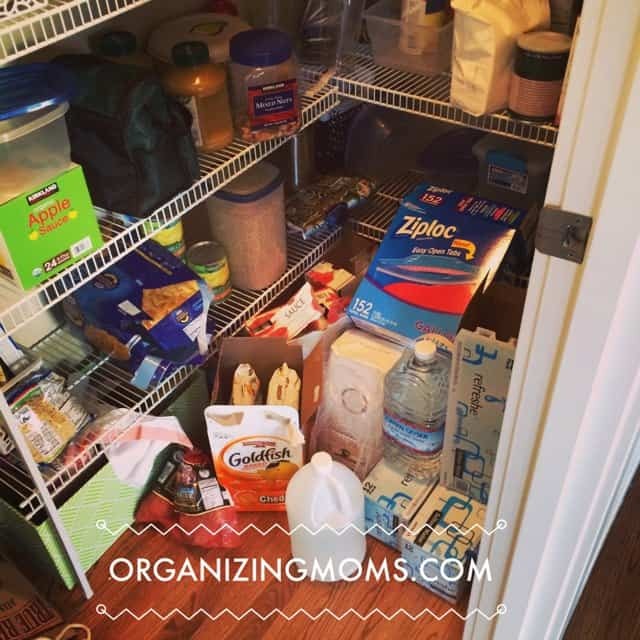 This is one of the reasons why this blog is called Organizing Moms instead of Organized Moms. So, I decided to see how much I could do in just 10 minutes, and I focused on decluttering the floor. If I could clear the floor off in 10 minutes, that would be a huge win. 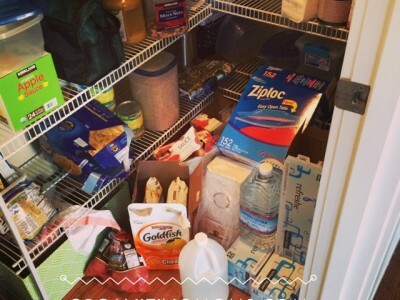 We’d be able to set foot in our pantry again! 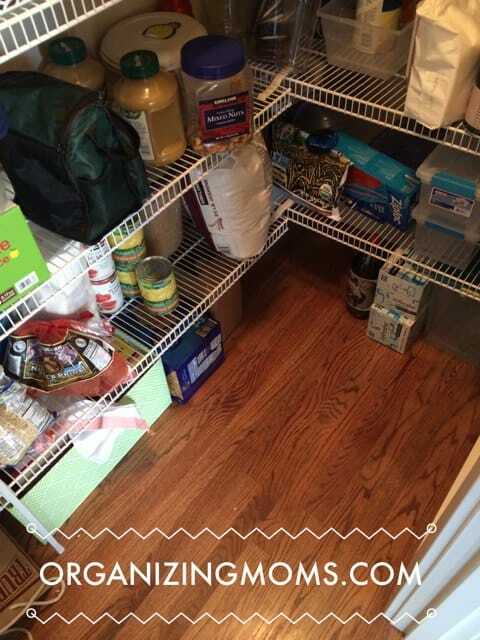 Certainly not a Pinterest-perfect pantry, but a huge improvement for us. I’m sold on the “work for a small amount of time” thing. Now that I have the floor cleared off, I’m seriously considering buying some kind of a storage solution for our canned goods. We have wire shelves in our pantry, and I end up stacking our cans. It’s just not easy to get to everything we need.